Montana has 25 designated opportunity zones, all of which are low-income communities. Montana did not designate any eligible non-low-income contiguous tracts as opportunity zones. Montana is a highly rural state: statewide, more than two-thirds of Montana’s census tracts are located in rural areas. 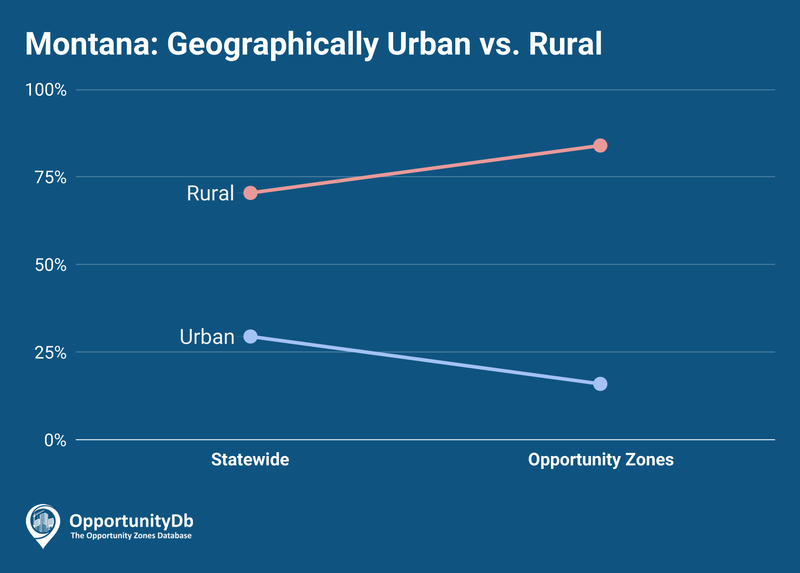 An even greater percentage (84 percent) of the state’s opportunity zones are rural.